Mumbai Indians will take on Royal Challengers Bangalore on April 15th in match 31 of IPL 2019 at the Wankhede Stadium. This game is one of the biggest matches in the season and the stakes are high for both the sides. A lot of India's first-team players will feature in this match and the battle between Virat Kohli and Jasprit Bumrah will be the one to watch out for. Mumbai Indians need a win to advance higher up on the points table while RCB are still rock-bottom and need to keep winning if they want to stay alive in this tournament. This will be a high-octane clash and a lot of runs and wickets are expected from this match. IPL Fantasy players will have a lot of quality options to choose from both teams and this match guarantees a lot of points. On that note, let's take a look at who the Fantasy X-Factor will be for this match. The Mumbai Indians have relied upon their middle order to finish games off for them and the openers and the top order batsmen haven't seen the team through. Thankfully, MI have a couple of hard-hitting all-rounders and the pick of the lot is Hardik Pandya, our Fantasy X-Factor for the match. Hardik has hit sixes at will this season and his cameos in every match have saved the Mumbai Indians on a lot of occasions. On a belter of a pitch set up for the game, more of the same can be expected from Pandya, who could tonk the RCB bowlers who haven't been at their best this season. He will also be a good bowling option for skipper Rohit Sharma due to his wicket-taking penchant. Rohit Sharma, Virat Kohli, AB de Villiers, and Krunal Pandya will be good options for this match. Follow Sportskeeda for all the updates on IPL score, purple cap, points table, schedule, news, orange cap, and fantasy tips. IPL Fantasy 2019: Match 35, KKR vs RCB: Who will be the X-Factor in today's game? 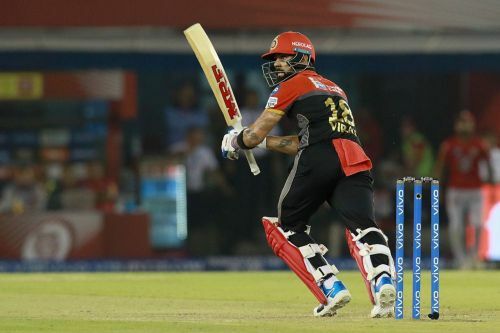 IPL Fantasy 2019, Match 14, RR vs RCB: Who would be the X-Factor in today's game? IPL Fantasy 2019, Match 34, DC vs MI: Who will be the X-Factor in today's game? IPL Fantasy 2019, Match 11, SRH vs RCB: Who would be the X-Factor in today's game?